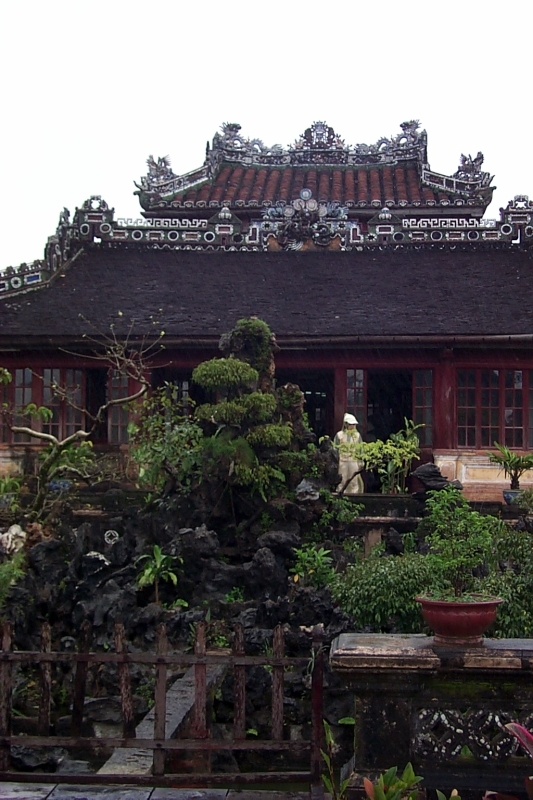 The main reason to visit Hue is the citadel of the old capitol, along with the royal tombs scattered around the countryside. 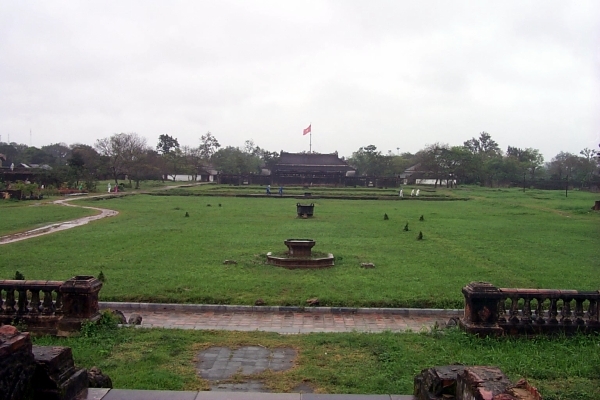 The citadel was begun in 1804 and served as Vietnam's capital until around 1945. The first thing you'll see on approaching it is the big flag tower (Cot Co). 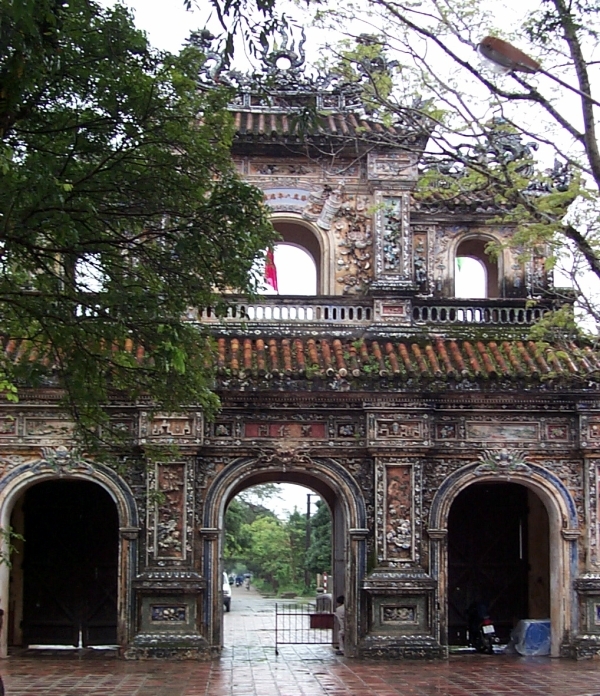 The photo above was taken from the Ngo Mon Gate, the main entrance to the citadel. All visitors must enter by this gate, and pay the 55,000 Dong (-55,000.00 USD) entrance fee. The Phoenix Gate to the citadel, from the inside. Although you must enter the citadel through the main gate, you can exit it at several other points. 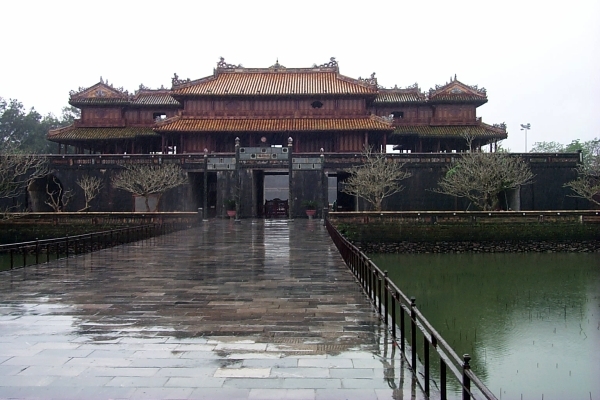 Between the Thai Hoa palace and the halls of the mandarins, a path leads to the Hien Nhon gate. 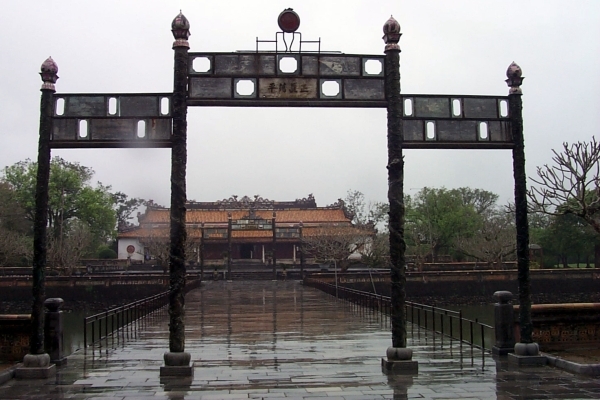 Leaving by this gate is the shortest route to get from the forbidden city to the museum at Long An palace. Along the path are a couple of buildings worth a look.